What’s the focus at Founder Collective? What are the downsides of heavily funded companies? Conventional VC wisdom says more capital, better outcomes… Eric, what were the results of the study and does more capital lead to bigger exits? Do you think fundraising is a vanity metric? How do you address large overhead and burn rates when the growth objectives or growth vectors for the business change? Why did you base the multiples in the study on current, public market caps vs the market cap at IPO? Raising lots of capital and big exits… Is there causation, correlation, neither? What about acquisitions… does this study omit a significant number of positive outcomes to strategic acquirers? You also found that public performance, post-IPO, was quite different between efficient vs. heavily capitalized business. What were the results here? Was there any blowback or frustration from large investors at later stages? Nick: Today #Eric Paley joins us from Cambridge, Massachusetts. #Eric is a Managing Partner at #Founder Collective, which has a mission to be the most aligned fund for founders at the seed stage. The firm has too many great investments to list, but a sampling includes #Optimizely, #ThredUp, #The Trade Desk, #Cruise Automation, #SeatGeek, #Makerbot and #Uber. #Eric has successfully exited his own startup to #3M. As an investor, he’s made the Midas List. And he’s also considered one of the best minds in the business. 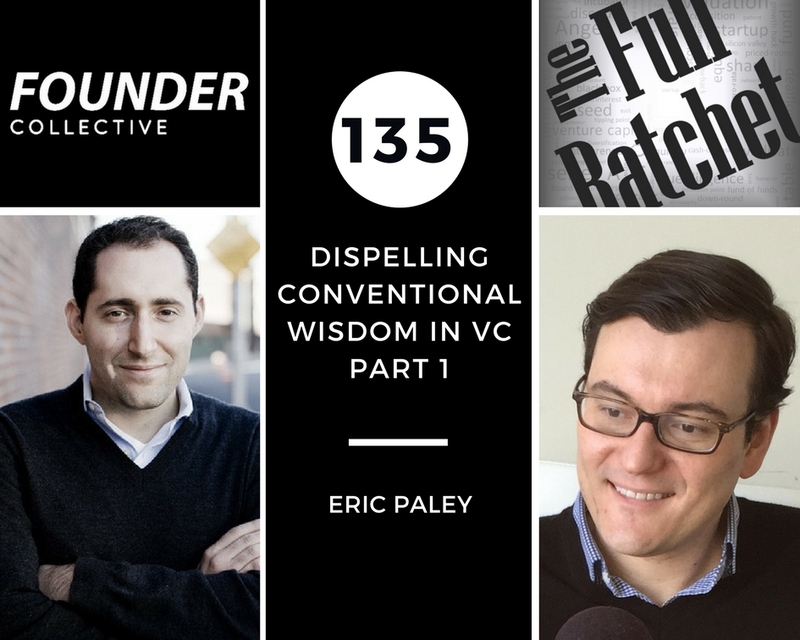 Today we’re going to dispel some VC conventional wisdom. And I couldn’t think of a better guest to do just that. 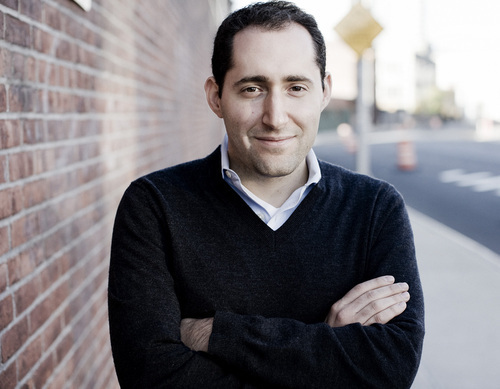 #Eric may be the most honest and forthright of investors I have encountered. And it’s because of his straight talk that I’ve become such a huge fan. #Eric, it’s a pleasure to have you. Thanks so much for making the time. Eric: Thanks so much, #Nick. Glad to be on the show. Nick: Awesome! Can you start off with your background, maybe a bit on, on your story going through the startup phase and then transitioning to venture? Eric: Sure. I had a great journey founding two different companies. One I was in my early 20s, called the Abstract Edge, which very proudly is still in business. And after business school, along with #Micah Rosenbloom, founded a company called #Brontes Technologies, which was a spin out of MIT and Harvard Business School and did three dimensional scanning to enable mass customization in an industry I never imagined I’d be in, which was dentistry. So from there, after 6 years at #Brontes, it was a great experience, we actually did sell the company in the fourth of those six years to #3M, and an outcome that was great for us and great for our investors. And was particularly great for our first investor, #David Frankel, who today is my partner. After some time in #3M and spending time helping to integrate that business into the #3M dental business, #David and I founded #Founder Collective, largely based on a lot of work he had done that #Micah and I and #Chris Dixon had been supporting him on as an angel investor as one of the, the real elite super angels of his time. And thinking about why that was going so well and what was the gap in the market that he was filling, and thinking about how do you turn that into a professional venture fund that helps fill that same gap. And we concluded the, the biggest driver was he had structured his investing in a way that had better alignment to founders than pretty much any other option in the market. And so that really became the mission of our fund, that if we could create better structure alignment, not just in name or in word or intention but actually in structure and also in intention, we could bring a lot of value to the market and, and distinguish ourselves from other funds that were out there. And that was the birth of #Founder Collective. Nick: Got it. So #David was an angel investor in, in the first business then before he became a, a practicing institutional VC? Eric: That’s right. And he was an, he was an angel investor, a very mature one, in our business, he really put us in business. In #Chris Dixon’s business, a side adviser. I, I had worked with him in his angel investment and mine as well, but his was much bigger, in a company called #Opower, which later went public. A company in New York that he’s still on the board of called #MediaRadar. But a really great portfolio of things that were very much led by #David but we really all worked on together. And trying to turn that into a institutional fund was the charter of what we, what we did in 2009 when we started #Founder Collective. Nick: Awesome. Yeah. So tell me more about #Founder Collective, and, and your focus area there? Eric: Sure. Unfortunately I’d say we’re not that focused. The main focus is stage, right. So, sector, we’re much more agnostic as long as it is a software internet driven company in some way or another. It can be a hardware company as long as software is a key driver. I sort of say as long as the, a lot of the key value creation of the company is software developers, we feel like we have a pretty good understanding of what the company does. If that’s not the case, we definitely feel like we’re out on a limb. But other than that we’re pretty sector agnostic. So we’ve done things as wide ranging as you said as, as autonomous vehicles and lots of internet of things type companies, all the way through to digital healthcare. And companies like #Omada or #PillPack, which are both fast scaling really exciting companies. And so the range is pretty broad, largely because we concluded, and David wrote a great piece on this very recently, that sector or trend based investing or I think most people would call it theme based investing, investors who are very theme driven, it’s, it’s, it’s a very difficult way to invest. It’s nothing we’ve ever believed in. Because by the time most people identify these themes, the, the good companies have already been established. The theme sort of follows the good companies, not the other way around. And so we’ve never really been believers in theme investing. The things that become the great themes of tomorrow look weird and whacky today. And so we, we say that we’re much more interested in looking at things that are weird and whacky than things that are based in the themes everyone’s talking about at the moment. Nick: Interesting. Cool. Well, I mean, conventional or dispelling conventional wisdom in, in venture capital is sort of the topic of the day. And I think, you know, a lot of viewer philosophies and certainly your writings have, have reflected that. So I’d like to jump in to the study you did. But before we get into that, can you first kind of just outline some of the major downsides that you’ve seen of sort of over funding or over capitalizing a startup at, at the early stages? Eric: Sure. So there’s just a lot of money that’s going into venture capital, right. When we started our fund in 2009, there were only a few new funds that year. There wasn’t lot of money in the space and a lot of the money that was in the space was being used to triage good companies that were struggling after the financial crisis. And VCs were making really hard choices with the limited capital they had available. Since then the flows, inflows of capital venture have gone up a lot. And the big funds have got even bigger. And the small funds in many cases have gotten bigger. All of that comes with some pressure to deploy capital. And unfortunately the incentive structure of our industry, at least the short term incentive structure, is around capital deployment, not necessarily everyone will call it I just make the best investments I can. 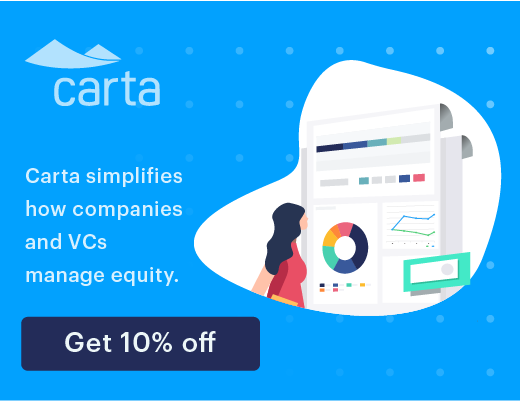 But, but a lot of the incentives, largely management fees and capital under management or assets under management for VCs, drive to a focus on capital deployment. How fast can we raise money, how big a fund can we raise. What that ultimately drives to for entrepreneurs is a little bit of, I mean, it sounds like a good thing, right? Like access to more capital. And in many ways that is a good thing if your company is genuinely under capitalized. The problem is most of the really hard parts of starting a business and building a business are actually not about capital. Capital is an enabler but it’s also an enabler of a lot of bad business practices. And at the end of the day, if you’re scaling things that don’t work, that is really hard to unwind. And it actually damages the long term credential of your business. So too much capital too early drives companies towards scaling experiments that really aren’t working very well or maybe aren’t working at all. But yet there’s tons of pressure on the founder to live up to the valuation expectations that brought all that capital in, in the first place. And so it’s very hard to tell a founder that’s offered $20M, on an 80 million pre, that they’d be better off taking $10M on a 40M pre and having effectively the same dilution for the half the money. And yet there’s actually a reasonable argument that that’s not such a bad idea in many contexts. And even if the founder doesn’t choose to go that path and understandable why, spending the money and investing the capital themselves at a pace that would have reflected what they would have done at 10 on 40 instead of 20 on 80, at least until they prove all the right things to drive up the burn rate, is probably a very wise move. And so really what this comes down to is the culture of our industry has largely been about growth. And there are many, many good reasons why growth is the priority in our industry. Largely because what we’re trying to figure out is how much do customers care. And growth arguably for a long period of time is the best way to figure that out. The challenge of that is not enough people are asking the question growth at what cost? Because growth can be created artificially reasonably easily. Right? Eric: But the question is at what cost are we driving this growth? And does that cost make sense? And interestingly, even exceptionally inefficient growth in a moment, it’s not even that big a problem, as big a problem in the moment as it is to the future of the company. Because turning off that inefficient growth is incredibly painful. But even worse, unwinding it is actually very, very long term damaging to a company. Eric: And this gets back to scaling experiments that don’t work, has such enormous opportunity costs and cultural damage that, that companies need to be really thoughtful about avoiding that. And yet when you’ve just raised that 20 on 80 round, for a company that’s only doing a few million dollars in revenue and doesn’t have that much figured out yet, the pressure to start investing that capital and the few things that kind of sort of work and you’ll just figure it out later, is extremely high. Right? Because if you only grow that business 30% the next year, everyone’s miserable. Right? Eric: So you feel this enormous pressure even more pressure to drive to the top line. And unfortunately in many cases make even worse and worse investments. And so this is our focus on capital efficiency and this idea that it doesn’t, at the end of the day you might end up raising tons of money if you can demonstrate that those investments are really good investments. But making sure you’re scaling things that work and not investing in scaling experiments that don’t work. Eric: Think of it this way. It always magnifies what, you know, that’s, that’s the power of scale. It magnifies whatever it is you have. Do you want to magnify problems or do you want to magnify solutions? Right? If you’re magnifying things that are really working, it’s extremely powerful and valuable. If you’re magnifying things that are not working well, that’s really, really hard to unwind. Those problems just get bigger. Because at the end of the day, the money has no intelligence. All it is is a multiplier of either good or bad. Nick: What about the counter point, people saying or early stage founders saying we’ve got a very focused effort of experimentation on a variety of different channel or marketing strategies and we need a small infusion of capital to, to see some of those experiments through? What would you say to them? Eric: Yeah, for sure. I mean, like I, I’m not saying they can build their companies with no capital at all. And I know this is all, everything I’m saying is high class problems for most founders because most founders need some capital and are struggling to find it. And it is still hard to get off the ground and raise that first capital. But I’m talking about one of the real challenges of how much capital is coming to the VC space and what it means for the companies that are starting to get some traction. And investors get excited about that tractions, have an incentive to over capitalize that traction. And then the pressure that follows on those companies. Nick: Sure. Yeah. I’ve spoken with a lot of founders that don’t feel the pressure that their competitors are going to beat them or out-innovate them or have a better value proposition. But the fear is that a competitor may be better capitalized and may get, may do the land grab faster. Eric: So this is one of the big fallacies in our space, in my opinion. There are times where there’s genuinely a land grab. More often than not people are trying to scale things that are kind of, sort of working but not really working well. So I’ll give you an example. We were very, very fortunate to, along with #IA Ventures, be the first investors in #The Trade Desk, which went public last year. Because #The Trade Desk was pretty much the last company to establish a material demand side platform in programmatic advertising. They always struggled to raise money. Many of their competitors raised hundreds of millions of dollars. But #The Trade Desk had a very different approach to the market and DNA that had some really insight into what was happening in that market. And despite that they always struggled to raise money, they really built a great business. I would even say because they struggled to raise money. They raised almost just enough money to build really strong roots and principles about building their business. And by the second year, #The Trade Desk was operating profitably, between second and third year. Because they had to be. Because they always struggled to raise money. So whereas their competitors had raised hundreds of millions of dollars, by the time #The Trade Desk went public, it had only raised a capital that hit the books at the company. It had only raised I believe about $25M. Eric: And so I think the fallacy is, I wrote a piece long ago about this called “Keeping up with the Startup Joneses”. Right? This idea that, you know, oh my competitors raised all this capital, I need to go do that. Or my competitor introduced this new feature, I need to go do that. Eric: And you’re always chasing instead of asking yourself do they have it all figured out, right? And if not, where can we, what’s our point of view on this market that potentially can help us beat them? And by the way, if we don’t have one, if our only point of the view on the market is chasing what they’re doing, we’re always going to lose. Eric: I mean, unless they stumble in some really weird way, we’re going to lose because all we’re doing is chasing them anyways. So either you have a really different approach to the market and different point of view that you can leverage, right? Or or you just copy. And if you’re just copying the guys out front, it’s most likely you don’t win. Right? And so I think that’s the important thing for founders to think about and, and not get themselves so caught up in what the other guy is doing, and instead figure out what it is that would matter much more to their customers. And interestingly, back to #The Trade Desk example, it was actually the amount of capital that those companies raised that really ended up being the problem for them. Because they did scale really bad experiments, and they felt enormous pressure to have massively high take rates. And because of that it basically pushed aside the advertising agencies and became the agencies. And they created client services businesses. And #The Trade Desk didn’t have the resources to do that, and didn’t want to do that, and were always religiously against that. So they built a tech company that scaled very profitably but despite having much lower take rates. And so sometimes capital, very often capital just exacerbates problems. And so I think it was actually oddly a disadvantage to those companies that they raised so much money. And I think it was a huge advantage to us. And this takes us to the study you mentioned before, where we looked at 71 IPOs over the last 5 years with the question of did having more capital overall help lead to greater value creation? Did the companies that were better capitalized outperform the companies that were less capitalized? Eric: And the result we saw was no material correlation whatsoever between having more capital and having a better outcome. So part of it is we always talk about with the companies that don’t become rocket ships, being over capitalized is really, really bad because it creates all these problems for those companies. It’s hard to be, it’s hard to sell your company for a $100M if you have raised tons of capital. But what about in the best cases? In the best companies? Isn’t it true to have more capital in the very best companies, that’s really valuable? And ultimately, you know, when you take Facebook out, because it’s one extraordinary outlier, the data doesn’t show that. And, and when you think really deeply about it, it’s even worse in that. Because even if you couldn’t prove causality, you, that more money led to better outcomes, you really expect at minimum correlation. Right? Because all correlation says is even if more money didn’t lead to better outcomes, the companies that have the best outcomes were by far in the best position to raise the most money. Eric: So at the minimum there should be correlation. Eric: There wasn’t even correlation. Right? And then you look over the long term, who is the IPO at these companies, and say, okay maybe at the time of the IPO there was no meaningful correlation, but how do they perform over time? And again, actually it turns out the companies that were less capitalized among the great winners, right, the 71 companies that had actually got to going public, they actually did even better. And I think the reason for that was they weren’t using capital to paper over problems in their business. They were, they had much more urgency to build better businesses. So again, none of this is saying don’t raise venture capital or don’t intelligently capitalize your business, it’s just saying venture capital it’s very limited in how much it’s capable of solving the real problems in your business. Instead it’s a magnifier of those problems. And it’s much more valuable to utilize, to raise that capital when you’re scaling things that work as opposed to trying to fix things that aren’t working. Nick: Got you. So the real takeaway of the study is to sort of go back to first principles and ask yourself why you’re raising the capital in the first place and if it is in fact magnifying things that already work and can accelerate the company or if it’s for maybe external reasons and because you’re focused on competitors or the noise as opposed to the signal? Nick: Got you. So you covered a bunch of my questions here already. So I, I noticed in the study that you based multiples on current public market caps versus the market cap at IPO. You know, why did you do the comparison that way as opposed to determining the exit multiples at the time that the exit occurred? Eric: But, but we, we, we just, you know, we happen to choose the moment, you know, the IPO and then the, and then the current values. Eric: In the data set we committed acquisitions, but we also, there’s a, there’s a paragraph that looks at some of the biggest acquisitions. And they, they very much make the same point. Right? I mean, most of the very, very big acquisitions in recent years didn’t require lots and lots of capital. In fact, it’s, it’s more the sort of enormous unicorn class that are the companies that raised tons of capital, very hard to get exists. And many cases they were amplifying experiments that are sort of working but not working very well. They’ve got huge problems to solve. They’re burning tons of capital. And they, in many of those cases, and I don’t, I don’t mean to say universally, there are some great companies in that class, but in many of those cases, they don’t really have a path to bring less capital unless they dramatically make cuts in their business, dramatically slow their growth, and go back to trying to correct core problems in the business. Nick: Right. Yeah. We just had #Ben Einstein on the program talking about hardware. And he was making the case that these #Kickstarter #Indigogo campaigns are more of a vanity play than anything else. And it seems like you’re making the case that to some degree the amount of capital raised is, is a vanity metric? Eric: $300M and #TechCrunch might have been $40M, something like that. And yet, #Michael Arrington pretty much made the same amount as #Ariana Huffington at the exit. Right? And so, you know, the, the point being that these things don’t really, I mean, again, if capital is valuable really to scaling the good things in your business, there will always be, it will be accretive in those regards. But it’s also really dilutive when you’re using it to scale things that aren’t working well. And not to say #Huffington Post didn’t work spectacularly well. But clearly there was amazing dilution over time if the company sold for 8 times as much and the founder got, made I think marginally less money. Right? It’s very dilutive if it’s not really focused on very valuable experiments that are working well. We , we often say as you scale up, raise money because things are working not to figure out what will work. Nick: You know, startups do go through ebb and flows, right? And objectives can change at, at different stages of the company. So what if, you know, what if a company does capitalize heavily on a set of principles that are working, and they increase their staff such that, you know, the burn rate and overhead and, and things of that nature are, are much higher. And they accomplish, you know, near term objectives but then to get to, you know, the next order of magnitude for the, for the business, they don’t know what those key things are going to be to accelerate the company. You know, what do you suggest at that stage? Because, you know, at that point you’ve already designed the company in a way that you have a certain amount of overhead and a certain amount of, of an employee base and it can be difficult to, to manage that burn. Eric: Yeah, I mean, I think this again is, is making this distinction between experimentation and scale up. And so I’m not arguing that companies don’t need to be continuously experimenting. They absolutely do. The problem is how fast they scale something up that isn’t working. So you introduce a new product. And the products actually somewhat struggling in the market. But instead of hiring one sales rep or two sales reps, if, if it’s a sales driven product. Or you can make a similar argument around digital marketing acquisition, whatever it is. But let’s use sales reps. Instead of hiring 2, because the projections somewhere in, in financials that you presented to investors when you raised a ton of money and the growth expectations are so high, you hire 10. Right? And then they all struggle. And you have this difficult choice which is, you know, it would be easy if it was totally binary that none of them were selling anything. But they’re all contributing revenue. Right? Or most of them are. Eric: And yet none of them are profitable for you or economically as sort of on a unit economic basis makes sense. Or maybe one or two are. But, you know, you’d say okay well just get rid of the other 8. Well, if I get rid of the other 8, I’m going to lose 15% of my target revenue for this year, 20%, 25%. Right? And you feel this pressure, you know, okay so I’m going to, you know, not only would I never hit my targets because we’re not living up to our expectations, but I’m going to go even lower in hitting my targets because you’re telling me to make cuts of things that are not working correctly. And what I would argue is you would, instead of spending so much time running in circles solving that problem, and dealing with all of the difficulty or perhaps you don’t feel like you’re being successful but you’re trying to retain them, they’re unhappy, there’s a lot of management. What you’d be way better off doing is figuring out why the product isn’t selling that much, focusing on getting those one or two reps successful, get that model working before you start scaling it up. And I think that’s the trade off that lots of companies don’t make because they’ve raised all this money, they have all this pressure, they have all these growth expectations. And so they just start prematurely scaling things that don’t work. And then instead of solving a thing that doesn’t work, they, they are solving the scale problem that they created. Nick: #Eric, I’d imagine that this position you’ve taken is, is controversial and ruffles the feathers of, you know, some, some downstream large VC firms, you know. What’s been the, has it been blow back? Has there been sort of a reaction from, from some of the larger later stage players? Eric: I mean, we’re very lucky to have very good relationships across the industry. But what I would say is in boardrooms at times we find ourselves in disagreement because a lot of VCs feel the need to justify their investment. And so they’d rather work on hope than work on data. And they’d rather just think well, maybe if we scale up to 20 reps you’ll figure out how to make each individual rep, you’ll figure out the unit economic problem, you’ll figure out how to make each individual rep successful and we’ll actually hit our plan for this year. And I would say at some point you do this long enough, you realize that almost never happens. That if the company is not focused on solving that problem on a smaller scale, it’s so much harder to solve it on a larger scale, that they’re not going to solve it. Right? Eric: And so I think the good news is most of the great large scale venture funds out there believe in business fundamentals. They believe in scaling experiments that work. They, they want to engage this conversation because even if the, the pressure is there to justify their investments, they don’t want the company making catastrophic mistakes. But, but certainly there is a lot of wishful thinking in our industry that I think often costs entrepreneurs their company. Right? They’re costing entrepreneurs the company because ultimately the entrepreneur gets the blame, which is debatable, right? Maybe it’s the VCs who deserve the blame. But ultimately the entrepreneurs got to own the success of their company. So it is debatable but sometimes the entrepreneur gets the blame. And so that means they don’t get more financing or that means they get replaced as CEO or it means a variety of not great things. Ultimately it always means meaningful dilution. It often means very painful lay offs. It often means lots of things that actually lead the entrepreneur to a worse and worse place, instead of what this is really all about, which is trying to figure out how to get to a better and better place. Nick: Right. Right. Well, you know, talking about sort of over, over capitalization is also related to sort of the follow on investing discussion. And I wanted to get your take on this. There was a recent Twitter conversation. You were involved, #Parker Thompson, #Semil Shah, #Nick Ducoff, all talking about this, this follow on funding discussion and, and #Nick made the statement – Knowing when to double down is the key to solving the “I wish I owned more of the winners and less of the losers” paradox. And you said you strongly disagree. You’ve stated that venture funds are made on the first cheque and destroyed on the follow on cheques. You know, that, that was a pretty shocking statement to read, but I’ve tended to agree with you. I mean, my firm’s philosophy is quite similar. But I’d love to hear your take and, and the logic behind your comment.